Looking for the perfect gift for that special someone in your life for Valentines Day, Christmas, their birthday, anniversary, or just to say I love you!? 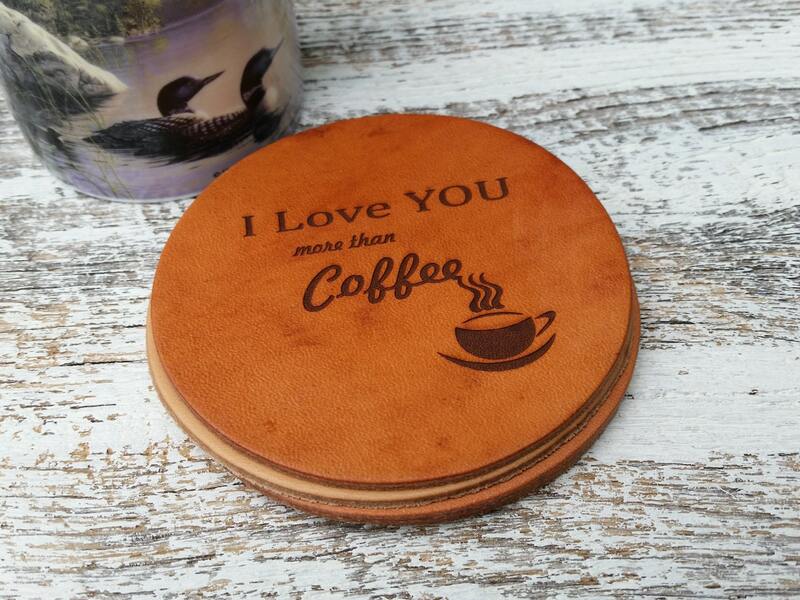 Our beautifully crafted and engraved coasters are the perfect gift! Want us to add their initials or names? Just let us know we can custom engrave each coaster. Each coaster is made in the USA and engraved when orders are received. Each coaster can be customized as per your request. 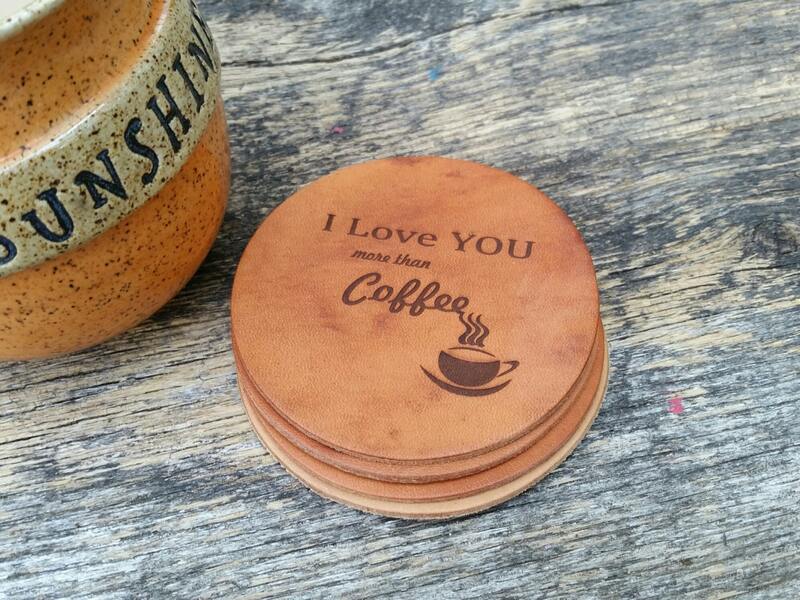 We can engrave all 4 with " I love you more than coffee" or we can mix and match.